Click here for Great Prices on Aldan Chevelle Coilover Kits. Aldan seen on CarsIllustrated.com including a video and article about installing GM A-Body (1968 Chevelle) Suspension Kit. 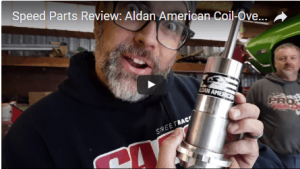 ALDAN AMERICAN Makes it Easy – Bolt On, Rear Coilover Conversion Kits for 1964-1972 GM A-Body Cars 64’-72’ GM A-Body owners can now convert to a coilover suspension with ease. Street & track tested, Aldan kits come complete with everything needed to convert rear factory suspensions to a fully adjustable coilover system. Superior quality, at an affordable price. Check it out to see if we have parts for your exact year/make/model vehicle.